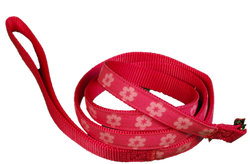 Leashes from WagPetGear - Wag Pet Gear! This 4 foot leash is a perfect match with the Sock Monkey harness (as seen in the Unisex department). It is red with gray reflective tape on one side and tan with "sock monkey" faces on the other side. This 4 foot leash is solid olive green on one side and olive green camo on the other. It coordinates with the Peace! harness in the boys department. 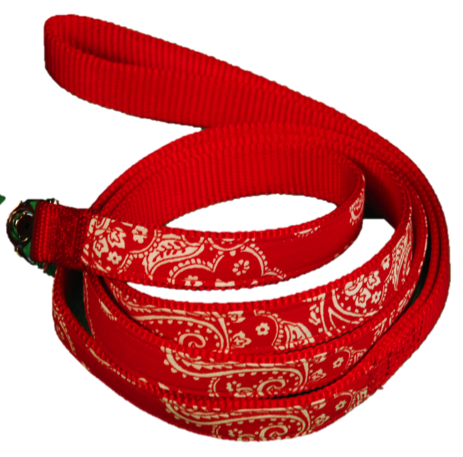 This 4 foot leash is solid red on one side and red bandana print on the other. It coordinates with the Cowgirl and I Wanna be a Cowboy harnesses. It also coordinates with the Red Bandana harness (as seen in the Girls department). 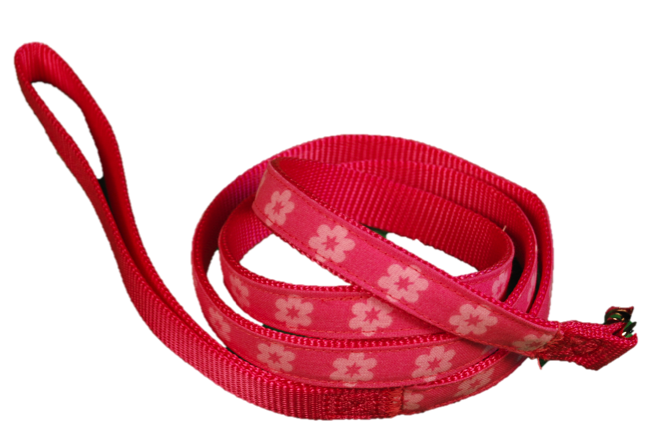 This 4 foot leash is solid pink on one side and pink flowers on the other. It coordinates with the Flower Child harness, the Black Polka Dot harness and the Pink Flowered Bandana harness.